Wunderbar Dubai im dunkeln das ganze Lichtermeer zu sehen, ein unvergessliches Erlebnis. War sehr toll und ist auf jeden Fall weiterzuempfehlen. Book the best shore excursions & cruise tours in Dubai now online at the local tour operator and specialist. 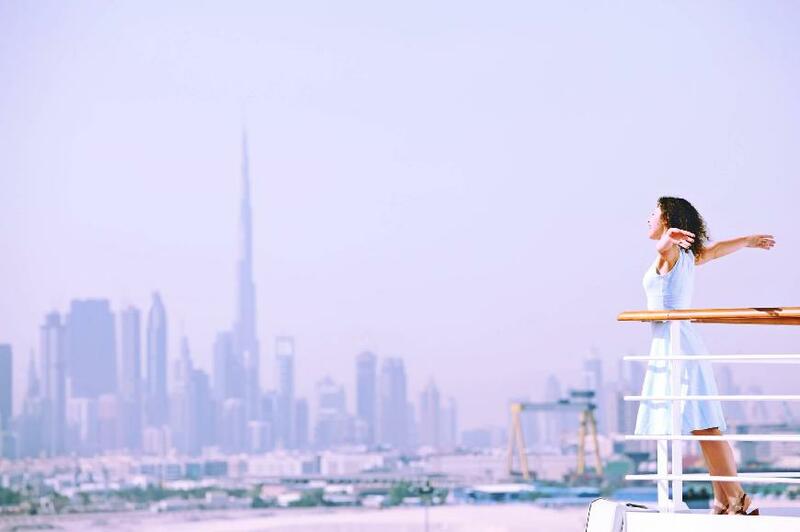 Whether you are traveling on Costa Cruise Ship, Royal Carribian or any other cruise ships in Dubai, you will find the best activities for the most popular attractions in Dubai and the surrounding area. We pick you up directly from your Cruise Terminal - Port Rashid in Dubai. You do not have to worry because we always have the arrival and departure times of your cruise ship in Dubai always in an update. So you are always back in time to your ship in Dubai. Should your cruise ship have a delay or changes for any reason, we are waiting for you and are flexible to change the tours pick up time. Compare prices and program schedule for the tours, as we guarantee you the best price and value. We speak your language and are always available 24 hours a day, via Email, WhatsApp or by phone. We would be pleased to provide you with an individual tour program as we are more specialized in private tours and small groups. We look forward to welcoming you soon to the city of superlatives Dubai.